This Glitter Premium DP from DCWV is so beautiful that it was really tough to have to cut into it! LOL! 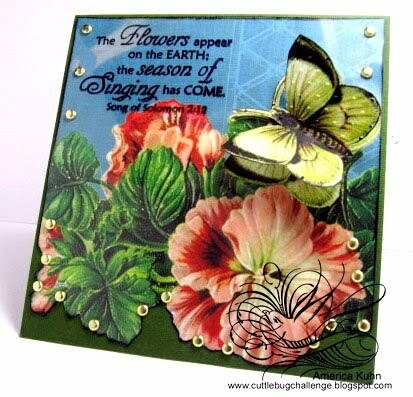 I cut out several flowers & butterflies directly from this lovely DP then glued with strong adhesives to the scored/popped inner sections to create this 3-D Pop-up look. LOVE LOVE your popped up Easel America, it is absolutely GORGEOUS, the details, and those flowers looking amazing......!!! ps...I received my goodies today hun, THANK YOU SOOOOOO MUCH, I LOVE IT ALL!!! Big hugs to you! This is an amazing card. the colours and flowers are fantastic and the garden fence effect of the punched border is fabulous. The butterflies are awesome. Lovely scripture text. Wow America this is so cool. Like having your own little back garden in a card. Brilliant work. what a gorgeous card America. Those flowers are so realistic. Wow!! Stunning and beautiful creation! Wow America! Such a gorgeous card! I love the butterfly. . .so pretty! Love the colors too! wow!! what a bright and incredible card!!! This is just stunning. Love the flowers and all the gorgeous colors. WOW! This is one amazing card, America! You`ve created the most gorgeous 3D flower garden!! 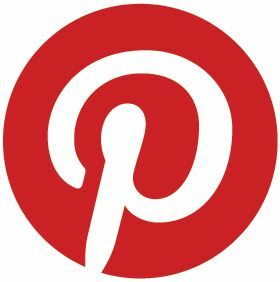 My friend just told me about your site. I have to say that you make the MOST GORGEOUS cards that I have ever seen! Thank you for the inspiration...I hope I can make cards like yours some day. Your card is absolutely beautiful America. Love that paper and the inside is fabulous with the punched lattice as the fence. I seriously love this card!!! Just gorgeous!!! Ooooh I like, I like......no strike that.....I love, I love it!!! 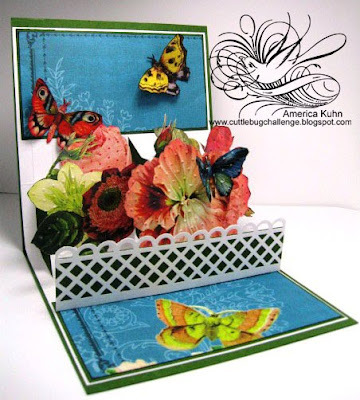 This is so amazing - I think you might have inspired me to have a go at a pop-up card. Gulp! What an exquisite piece of art - totally amazing!